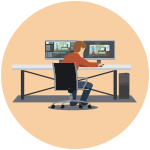 Bring your ideas and concepts to life with our 2D animation services. Our team has got advance expertise in developing eye-catching, original visuals which immediately resonate with your audience. 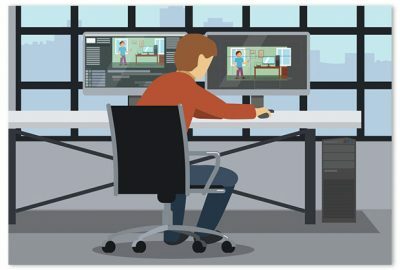 Our team of animators and illustrators work with the latest graphic tools and cutting edge technologies to create innovative, interactive and interesting animations to bring you the results you want from your project. We’ve worked on a number of 2D animation projects, and provided complete solutions from conception, content writing, storyboard and voice over to characterization and animation. Got an idea you want us to animate? Brief us your idea and sit back and we take care of every single aspect of your video or project.